Brooklyn Bridge Park and a neighborhood advocacy group fighting two high-rise towers planned for Pier 6, near the park’s Atlantic Avenue entrance, have agreed to settle a lawsuit by going through a process that would allow modifications to the park’s General Park Plan (GPP). As part of the settlement, both sides have agreed to a public hearing that will take into account expert testimony and the public’s comments about the GPP. 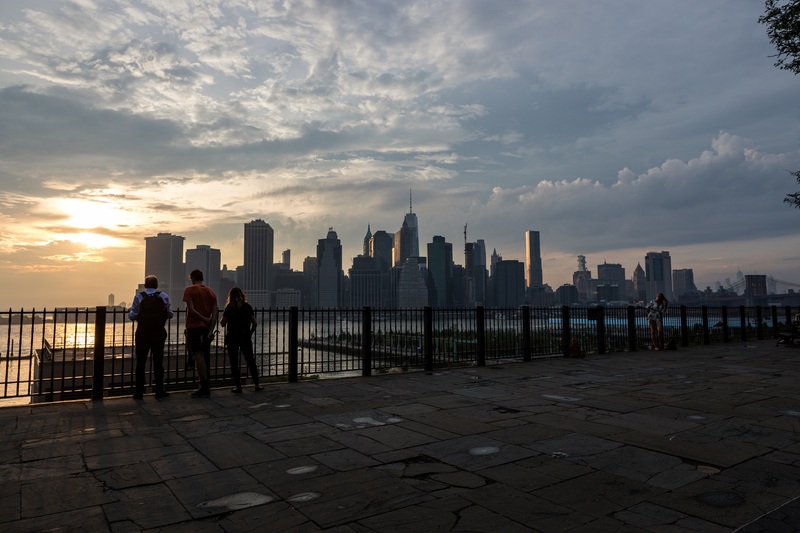 In its settlement with the People for Green Space Foundation, the Brooklyn Bridge Park Corporation (BBPC) agreed to ask the Empire State Development Corp. to conduct the public process to change the GPP. One of the changes is expected to be the addition of affordable housing to the Pier 6 development. The affordable housing component is a priority of Mayor Bill de Blasio’s administration. The People for Green Space Foundation, which leads the legal efforts for the neighborhood group Save Pier 6, got half of what it asked for in the negotiations, said Frank Carone (Abrams, Fensterman, Fensterman), attorney for the foundation. What the petitioners did not get was a new environmental review, he said. People for Green Space Foundation, however, has reserved the right to seek a Supplemental Environmental Impact Statement (SEIS) if the changes to the GPP are approved without taking into account the dramatic changes in the local area over the past decade, including school overcrowding and the escalating value of the park’s real estate. Brooklyn Bridge Park also called the settlement welcome news, and predicted the Pier 6 project would move forward. Litmus test: Are the towers financially necessary? People for Green Space Foundation maintains that the proposed towers – one roughly 15 stories and the other about 30 stories — are not financially necessary. The inclusion of affordable housing at the Pier 6 development (something not considered when the General Park Plan was originally written) shows the development to be inconsistent with the GPP, the foundation says. Instead of supporting the park, revenue from the park’s market-rate housing would go to support the affordable housing. Brooklyn Bridge Park, however, maintains that revenue from the Pier 6 development is necessary to support park maintenance, operations and pier repairs. The settlement also ensures that the Pier 6 towers’ maximum height limits of 155 feet and 315 feet be inclusive of mechanicals and be measured from the flood-resistant construction elevation. This clarifies what has become an issue in another contested development at the north end of the park at Pier 1. The lawsuit was originally filed in the courts on July 18, 2014. A Temporary Restraining Order preventing the Pier 6 towers to proceed was extended by state Supreme Court Justice Lawrence Knipel. As a result of the settlement, the city can now move ahead with its consideration of 14 proposals to develop the parcels. A long list of local and city officials have called for more financial transparency from the park’s board. These include NYC Comptroller Scott Stringer, state Senator Daniel Squadron, U.S. Rep. Nydia M. Velázquez, Public Advocate Letitia James, former Assemblymember Joan Millman, Councilmember Brad Lander, Councilmember Stephen Levin and Assemblymember Jo Anne Simon. A dozen community groups, including the park’s Community Advisory Council, have also called for more transparency. Update on May 28, 12:30 p.m.: It is the The Empire State Development Corporation’s environmental review that calls for “the smallest program that could prudently support the annual maintenance and operations of the park,” not the GPP.